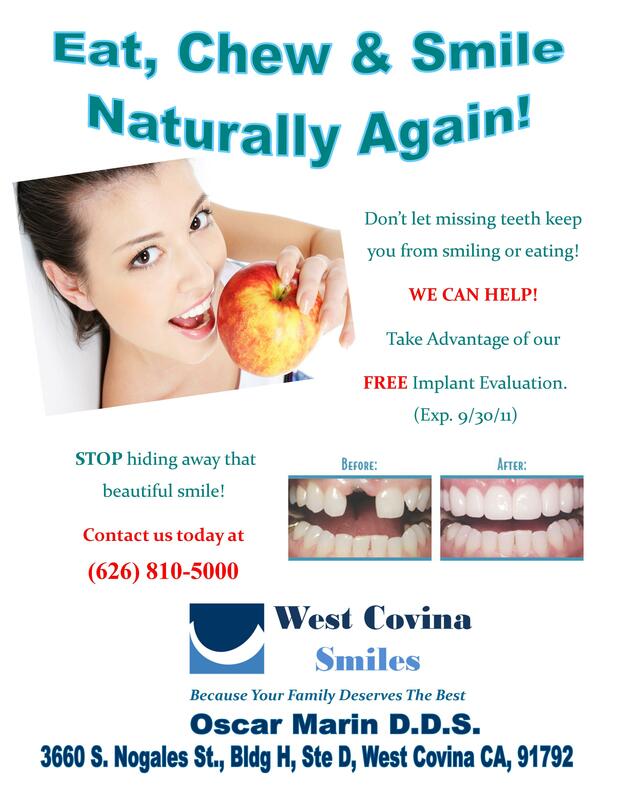 FREE Implant Evaluation! Don’t Hide Away Your Beautiful Smile. CALL TODA AT (626) 810-5000 WE CAN HELP!